Trapped in the Sierra Nevadas during the bitter winter of 1846, nearly 90 members of the Donner and Reed families longed for California's ""Promised Land."" But an untried shortcut became a death warrant for half of themvictims of madness, death, and cannibalism. The program re-creates the Donner Party's journey from family journals, newspaper accounts, and interviews with historians and descendants. Fascinating, tragic, and about much more than just cannibalism. Beautifully made. Fascinating and tragic, the story of the Donner Party turns out to be about much more than starvation forcing people to cannibalism. Hubris and heroism, foolishness and brilliance, violence and grace, and the whole range of humanity seems to have existed in this little party of people trying to reach California in the 1840s. Ric Burns does a terrific job, using diaries and letters to establish clear and distinct individual voices and perspectives on exactly what happened on that tragic journey. Among the fascinating facts, more women and children survived than grown men, and it seems it wasn’t only because the men took more on. It also appears that, while physically stronger, the men were often mentally weaker. This could make an amazing narrative film. Once again, The American Experience brings a piece of history one thinks one knows about into far deeper focus, and Ric burns shows he's every bit as remarkable a film-maker as his more celebrated brother Ken. The Donner Party: A Tragic Comedy of Errors. By Joseph B. Cox Jr. This is a gruesome tale of what goes wrong when greed, incompetence, misguided intentions, poor planning, bad luck, and the veracity of mother nature collide simultaneously. It is truly mindboggling how the events of a seemingly simple objective unfolded into a tragic comedy of errors. 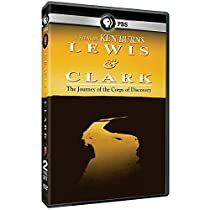 I had seen this documentary on PBS many, many years ago and thought it was an excellent depiction about the Donner Party and their plight. I enjoyed it then and still enjoy it now, though I wished the outcome had been one of triumph rather than trial, tribulation, and ultimately death. Yet, the outcome of their journey is what it is and will remain in the annals of history as one of the most horrific and horrifying events of human endeavor. This video is of the same caliber as that of Ken Burns' "The West", "The Civil War", and "Prohibition", and is loaded with plenty of information though not nearly as long. It is one video that will remain among my favorites and one that I will continue to watch over and over again. I encourage you to add it to your collection as a reminder that dreams do not always true and life does not always have happy endings. It should be an inspiration to everyone not to take life for granted. Seize the moment and make the most of your time for you never know when it may be cut short. 1-The research is thorough and rich in detail; especially with the use of authentic pictures, letters and journal entries from the time period. 2-The experts used in telling the history were great story-tellers and very knowledgeable. 3-Using actors to voice the various characters and further the story was fantastic. It really made the story more dramatic; if that's even possible. It isn't surprising that Ric Burns, the director, is the brother of documentarian Ken Burns ("The Civil War", "The War"). They have a very similar style and it's fantastic. You really get a personal feel of the story and it just comes alive more than most documentaries. You really feel for everyone on a strong, human level. I've watched it often and I attribute this documentary to awakening a genre preference I didn't have before.